Return to the origins of the Victorian-era sleuthing couple with the first three mysteries in the “unfailingly rewarding” New York Times–bestselling series (The New York Times Book Review). “For nearly four decades Anne Perry’s riveting detective novels have played out against the backdrop of the Victorian era” (The Washington Post). Now in a single volume, readers can enjoy the “exemplary Victorian company” of this incomparable pair of sleuths in their earliest adventures (The New York Times). 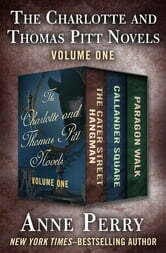 The Cater Street Hangman: In the series debut, Inspector Thomas Pitt seeks an elusive strangler among upper-class British society, with the help of the outspoken Miss Charlotte Ellison, whose maid fell prey to the killer. As their relationship shifts from antagonistic sparring to romantic sparks, the socially mismatched pair must solve the mystery before the hangman strikes again. Callander Square: As her husband investigates the discovery of two dead infants found buried in an elegant square in London, a pregnant Charlotte uses her social status to gain access to the parlors and inner chambers of the fashionable neighborhood. With the help of Charlotte’s sister, Emily, Lady Ashworth, who lives on Callander Square, the sleuthing couple attempts to unearth secrets a seemingly upright aristocrat would kill to keep. 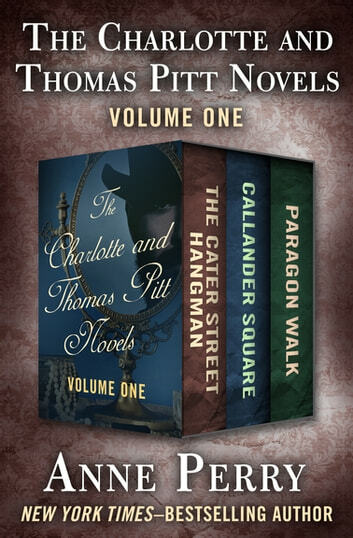 Paragon Walk: When Charlotte’s brother-in-law, Lord George Ashworth, becomes a suspect in an unspeakable crime committed on the posh London street of Paragon Walk, she must balance supporting her sister, Emily, with assisting Thomas in exposing a monster cloaked in gentleman’s clothing.